An area in Chapel Hill is now designated an “Opportunity Zone” and catching the eye of many investors. This zone, the only one in Orange County, provides tax benefits to investors in order to spur economic development. Investor benefits range from deferring tax on prior gains to sheltering future gains for ten-year investments in the zone. The word from Chapel Hill Town Economic Development Director, Dwight Bassett, who pursued this designation for the town, is that investors are already considering and purchasing properties and parcels in the zone. 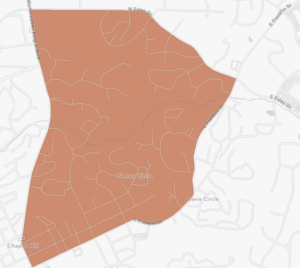 The Opportunity Zone in Chapel Hill includes everything north of Franklin Street, east of MLK Boulevard and south of Estes Drive. Basically, if you are at the corner of Franklin and Estes (near The Chamber) and drive up the Franklin Street hill towards UNC campus, everything on your right is in the zone (think Fast Med, Caffé Driade, and the entire block that includes Varsity Theatre). From the corner of Franklin and N. Columbia Street (at Lula’s, formerly Spanky’s), turn right, drive downhill heading north on MLK Boulevard, and everything on your right is in the zone (think PNC Bank building, the open surface lot along Rosemary Street, the shopping center with Fly Leaf Books and Root Cellar at the Hillsborough Street intersection, and then the YMCA as you head up the hill towards Estes Drive). Finally, turn right from MLK Boulevard onto Estes Drive and everything on your right as you make your way back to the intersection with Franklin at the Chamber is also in the zone. 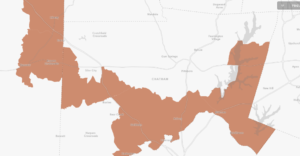 There are other Opportunity Zones in our region, including a huge swath across Chatham County(includes three census tracts – 203, 206 and 207.02 and the Moncure Megasite) and several areas in Durham County, the closest being in the southwest Durham (the area between Durham-Chapel Hill Boulevard, Garret Road, Old Chapel Hill Road, and MLK Jr. Boulevard). The Opportunity Zones Program is an economic development and tax incentive as part of the recent federal tax legislation known as The Tax Cuts and Jobs Act (H.R.1). The bottom line is that Opportunity Zones are low-income census tracts where tax incentives are designed to draw long-term investment to help revitalize urban, rural and distressed parts of the state. In exchange for the investment, investors receive a temporary capital gains deferral and other tax benefits. Final details of this program are still being worked out, including the timeline for when funds need to be invested to realize the full benefit of the incentive, which could be by the end of 2019. The Chamber President and CEO, Aaron Nelson, is also available to answer questions.